$ 22 000 and french open trophee for all divisions. IBIS hotel or IBIS Budget hôtel, Zone Activités de Beaupuy 1, 160 et 180 Rue du Clair Bocage, 85000 Mouilleron-le-Captif, free car park. The hotel is situated 15 minutes away from the centre of La Roche-sur-Yon /10 minutes to the tennis club. (double or single room including breakfast). 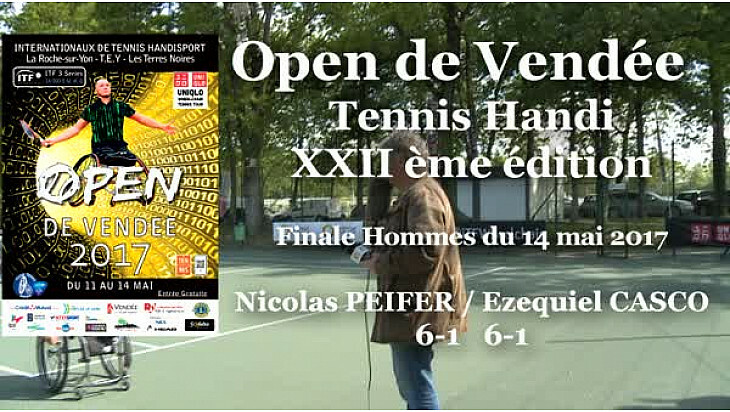 * Entry fees will be paid directly to the organization of the Open de Vendée on arrival day Tuesday, May 21 at the opening ceremony. We do not take credit cards. 5 breakfasts, 4 lunches and 3 diners ((Tuesday night the welcome buffet, Friday night meal surprise, Saturday night the Official Dinner). The dinners on Wednesday and Thursday.